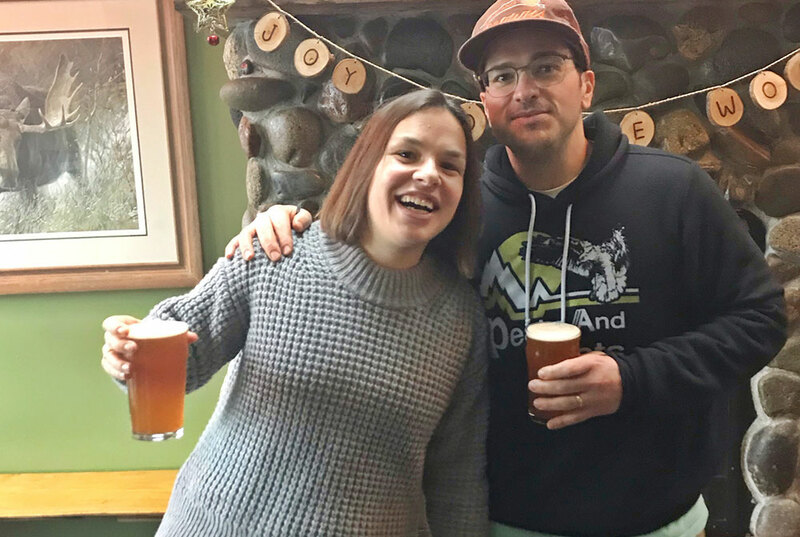 Beth and Andrew Russo enjoy a Double Mountain Cool Camp IPA at Peaks and Pints in Tacoma. Peaks and Pints has been surveying beer industry folks and customers on where their favorite cool camp sits, in conjunction with our Cool Camp IPA we brewed at Double Mountain Brewery in Hood River, Oregon. Double Mountain brewer Matt Coughlin and Peaks and Pints staff brewed our house beer, Cool Camp IPA, named after Coughlin’s favorite spot to camp in the Olympic Mountains. It’s an IPA built for adventure. Dank evergreen and ripe citrus lead an adventurous crew wandering through a rainforest of pines. Discover the Cool Camp IPA backstory and recipe here. Andrew Russo didn’t need a long explanation behind our cool camp concept. He helped brew the Cool Camp IPA. 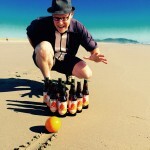 When he’s not hiking with his wife, Beth, he’s crunching numbers, approving designs, writing sales leads and orchestrating marketing campaigns as Double Mountain Brewery’s sales director. Russo joined Coughlin in guiding us through the brewing process, as well as kept our energy elevated with tasty pizza and Double Mountain craft beers. The Eagle Cap Wilderness is characterized by high alpine lakes and meadows, bare granite peaks and ridges, and U-shaped glaciated valleys. Departing from the trailhead at Wallowa Lake State Park (accessed through the city of Joseph, Oregon), the trail parallels the West Fork Wallowa River for 6 miles before entering Six Mile Meadow and the Lakes Basin, which are surrounded on all sides by 8-9,000-foot granite peaks. Here, there are two choices — continue toward Frazier Lake/Hawkin’s Pass or cross the river and head up to the Lakes Basin. Following Horseshoe Lake, Lee, Douglas, Crescent, Moccasin, and Mirror lakes all are within another 5 miles. Beth and Andrew Russo camping at Mirror Lake at the Eagle Cap Lakes Basin in the Wallowa Mountains of northeastern Oregon. From Mirror Lake, you can choose to summit the 9,572-foor Eagle Cap via East Eagle Trail for sweeping views of the wilderness and best chances for spotting mountain goats or big horned sheep. Hiking clockwise from there, the trail switchbacks past tiny Frazier Lake at 10.5 mi and then climbs past granite domes to Glacier Pass (the high point of the trail) at 13.75 miles, passing gorgeous Glacier Lake nestled below Eagle Cap Ridge. Steeply descending, the trail passes a string of beautiful lakes in wildflower-strewn meadows before returning to Six Mile Meadow at the 24-mile point. The 361,466 federally protected acres within the wilderness area boast 480 miles of trails and 58 named lakes, according to the map. Extending 60 miles by 30 miles across three Oregon counties, the Wallowa Mountains were sculpted by nine major glaciers during the Ice Age. The glaciers left deep glacial troughs, cirques, sawtooth ridges, and 17 peaks over 9,000 feet. The tallest is 9,838-foot Sacajawea Peak. “We even hike the portion along the Snake River surrounded by 400-foort granite walls,” explains Russo. “You’ll find the biggest, highest meadows in all the States there. 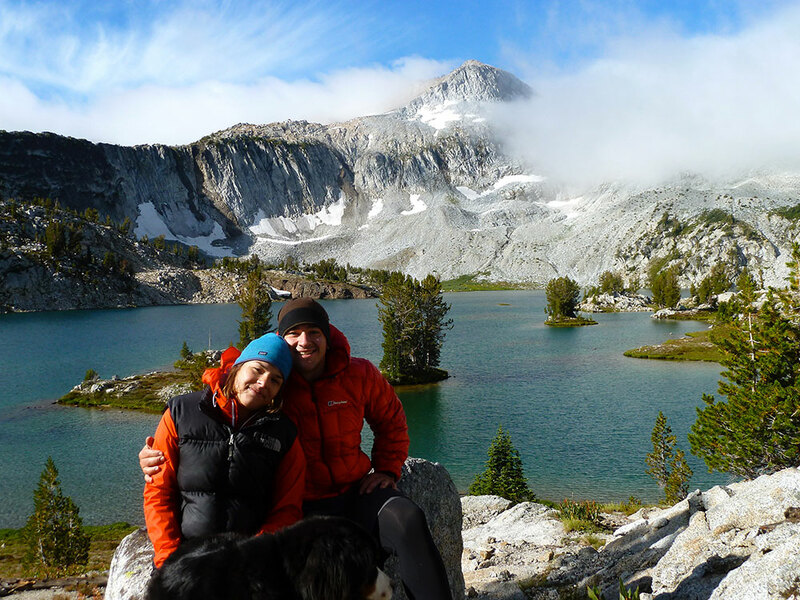 Andrew and Beth Russo will return to find another cool camp in the Eagle Cap Lakes Basin this coming Labor Day Weekend. This time, they’ll skip the bottle of wine and hike in a growler of Double Mountain Cool Camp IPA.